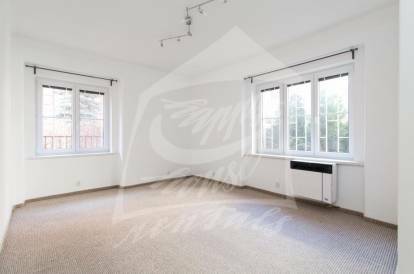 Nice, modern, furnished two bedroom apartment with a balcony situated on the first floor of a brick building with an elevator in an attractive area of Prague 7 - Holešovice. Kitchen with a fridge and gas hob. Bathroom with a shower and a toilet. Laundry room in the house. Hardwood floors and tiles. Internet available. The apartment is located near the National Gallery, where you can visit many exhibitions. In close proximity is also “Stromovka” park, which can be used for sports, walks or e.g. picnics. Park is next to the area of exhibition grounds, which often hosts various cultural events. In vicinity, you can find many cafes and restaurants and also a museum and a theater. Tram stop “Kamenická” about 4 minute walk, metro C station “Vtavská” two stops. Utility fees are billed separately, security deposit equals to one months rent. Interested in this property, ID 27362?